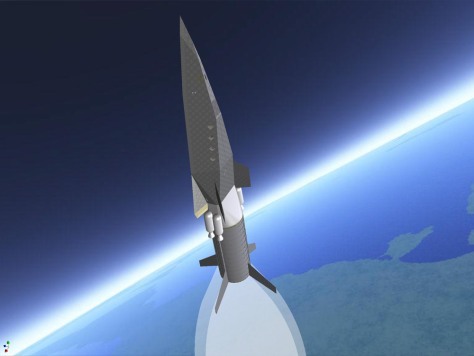 An artist's conception shows PlanetSpace's Silver Dart glider, rocketing into space atop a single-engine booster. This configuration would be used for suborbital flights. For orbital flights, a larger launch vehicle with clustered engines would be used.